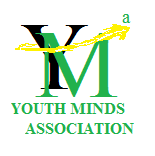 The Youth Minds Association is a non-profit organization of students dedicated to helping the world. We have divisions in middle school and high school. If you would like to join this group, please contact one of our moderators. Please log in or register. You will not be able to use the forum until you have either logged in or registered. Please note that if you are an unauthorized member, you will be banned by one of our moderators.